It's no secret that Texans like their whiskey -- it's a special relationship that goes back to the days of the Old West and has only grown stronger in recent years thanks to the work of Tony Romo. 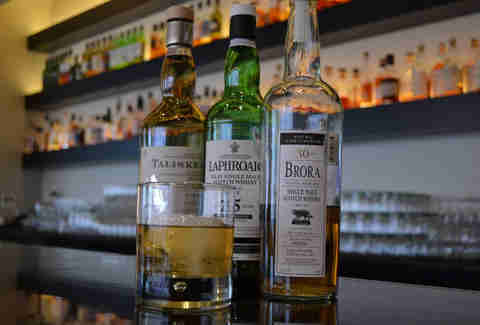 But to make sure you're experiencing the absolute best brown liquor Dallas has to offer, we hand-picked the best places to get it -- whether you're into Scotch, prefer it in a cocktail, or would rather just eat it. 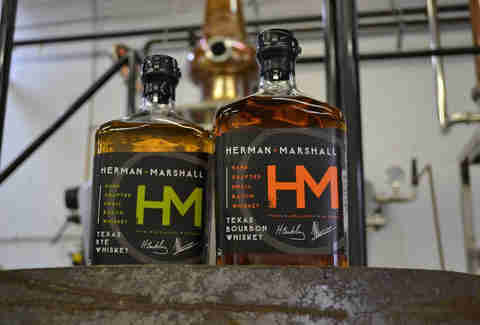 As Dallas County's first whiskey distillery since Prohibition, Herman Marshall has nabbed awards for its Texas Bourbon and Texas Rye whiskies, produced in small batches and aged in New American White Oak barrels. Founders Herman Beckley and Marshall Louis (ah, we see what they did there) are both Texas transplants, but the important thing is that they're here now, making delicious whiskey. If you like options, you'll like the 2nd Floor at the Westin Galleria. 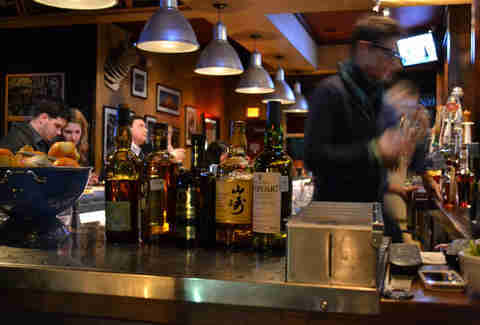 Behind the posh interior is a bar stocking 200 of the finest whiskies you'll find. The bartenders are more than happy to help you navigate if you're having trouble making up your mind. And if you're having trouble making it home, well, at least you're at a nice hotel. 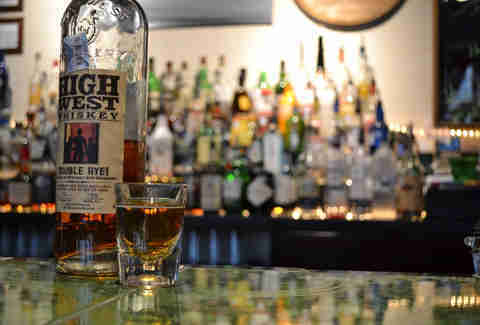 There are times to savor whiskey, and there are times that call for a shot. Truth be told The Windmill is well-equipped to handle either time (co-owners Charlie and Louise mix up some mean, well-priced cocktails from behind the bar). 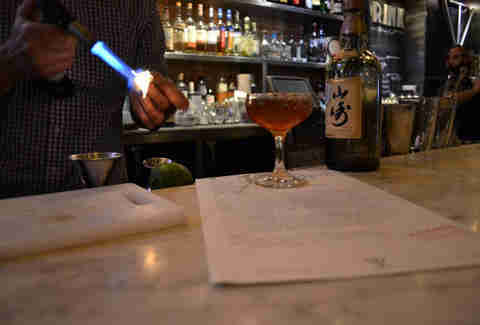 But it also possesses that welcoming divey atmosphere that makes you want to kickstart the evening with a shot, throw some Al Green on the juke box, and settle in for the evening. If you happen to like whiskey so much you even want it for dessert, this is your move. 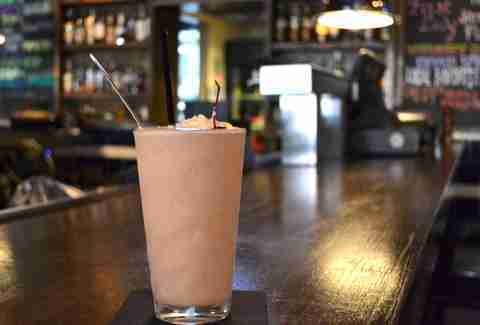 At the Common Table you can order the Temptress Bourbon Cherry, a bourbon milkshake made with cherries soaked in Makers Mark. Enough of these and she may well be the only temptress vying for your attention. 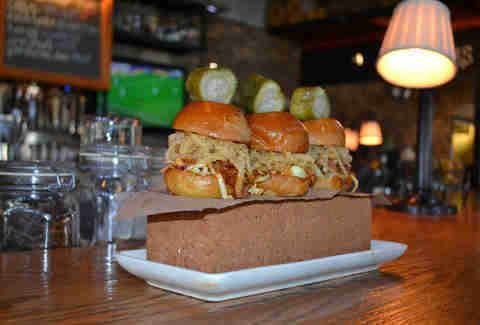 With a name like Whiskey Cake, you'd think this would be a shoo-in for the dessert move (note: they do serve a whiskey cake and you should get it), but first things first: The Three Little Pigs, a trio of pulled pork sliders topped with crispy onion rings, slaw, and a liberal helping of whiskey BBQ sauce. 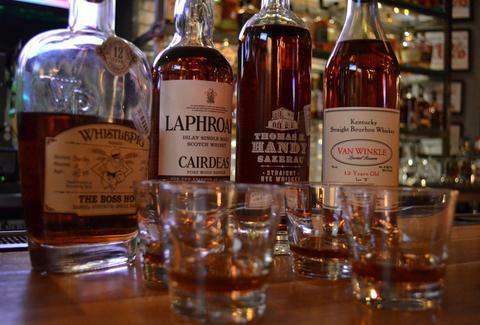 Of course, just because you're eating whiskey doesn't mean you can't wash it down with more whiskey. So maybe you’re the kind of guy who likes to listen to ultra-rare deleted Smiths singles and wear imported Japanese selvedge denim. Maybe you like your whiskey the same way. Well you’ve come to the right spot. 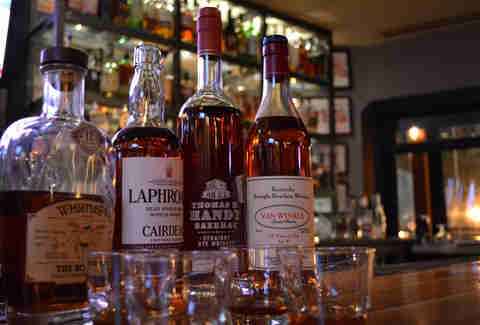 If you’re looking for something rare, stop in and see Mike behind the bar and try Laphroaig Cairdeas, an Islay Scotch released once a year, or a little Van Winkle Family Reserve Rye. Then order yourself a burger, rare, because you like staying on-theme. With a name like Twain and Salinger, you know a cocktail has an old soul. 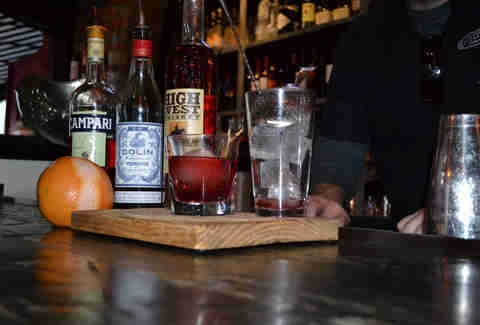 The Standard Pour's riff on the Boulevardier (a cousin of the Negroni that dates back to the '20s and swaps whiskey for gin) uses two kinds of vermouth (one of them huckleberry, of course), Campari, and High West Rye. It's so good there's no way you'll become a weird recluse, because you'll keep coming back to get more of them. Even if you didn't really get the ending, the Lost in Translation will put you at ease with the odd-sounding yet brilliantly balanced combo of oyster, mushroom, and thyme demerara, Yamazaki 12 year, flamed lemon zest, and a sesame seed dust rim. A couple of these and you'll be ready to woo ScarJo (not the weird in-your-phone version). There's a reason a certain legendary newscaster had a fondness for leather-bound books, mahogany, and Scotch. That stuff belongs together. 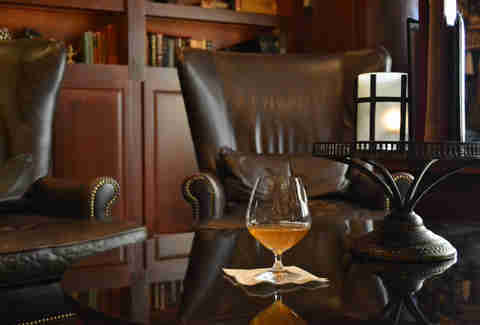 It's been scientifically proven that sitting in a high-backed leather chair while surrounded by stacks of important-looking books makes Scotch taste better. Also helpful: Library Bar's damn fine selection of Scotches. Whiskey is good. Whiskey is not cheap. Especially good whiskey. It’s a good thing there’re places like Tate’s, where, on Wednesday nights, they feature half-priced whiskey and they're more than happy to give insight about their strong selection. It's half price, so try something new -- or a couple of somethings new. Just be careful about Thursday.